Surprisingly, many people are not aware that shipping costs are flexible. We assume most of the time that the rates are the same every time. For a very long time, people have paid a fixed price. However, many are realizing that they can negotiate the prices. There are various simple ways in which one can use to lower their shipping budgets. The methods help you obtain a lesser amount while maintaining the dignity of your business. You will manage to save a lot of money and time by lowering your truck freight shipping cost. • What type of goods are you shipping? • What is the nature of the freight you are transporting? The above questions will determine what time you need to transport your goods. Truck freight shipping cost for perishable goods are hard to wait until the off-peak days. However, if your loads are non-perishable, it is possible for you to transport them earlier or later when prices are low. The urgency in which you need to ship the products is also another crucial element. Truck freight shipping cost can potentially increase dramatically with a poorly managed logistics program. If the freight shipment is not urgent, you can wait till off-peak to transport the load. Most off-pick days are on Friday when the shipping companies are desperately looking for customers. You will have an opportunity to bargain the cost of transportation. Finding a specific company to deal with your freight shipping needs can be hard at times. However, when you find one, make sure you stick to them. Create meaningful friendships that will help your business. Holding on to one carrier builds trust and loyalty. You will be able to enjoy the freight services at a reduced truck freight shipping cost because they know you. Consistency is an attribute that will secure you an affordable contract that is different from other unreliable customers. The company will inform you of the best times to ship and consider you first in giving when securing a truck. It is essential to take the responsibility of knowing the various prices of your freight. The knowledge may help protect you from carriers who may want to take advantage of you. Do not leave the responsibility solely to the transportation trucking company. You can take charge by subscribing to trade magazines and informative blogs. Also, work with a quality freight broker, freight brokers can be indispensable to your businesses success. 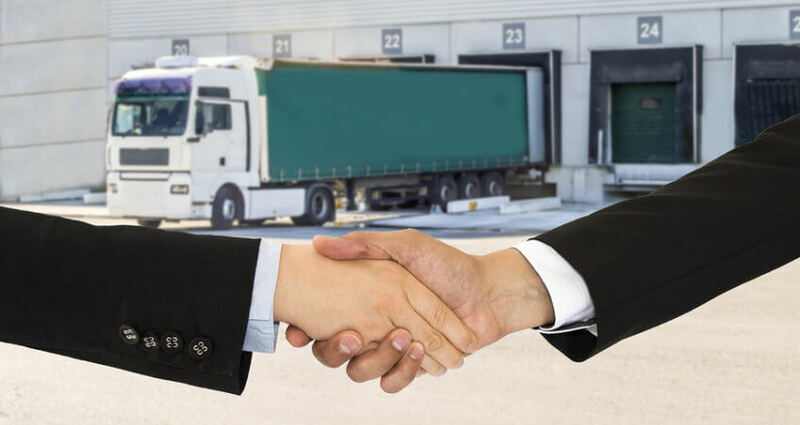 A quality and trusted freight broker can help you secure trucks in competitive environments. The more informed you are the better decisions can be made. Having relevant information will help you plan early and choose a time when trucking prices may be at a discount. Shipping large loads at the same time can become beneficial to your company. The option, however, only applies to the companies that have the flexibility of shipping goods at once. If you can put all your orders together and ship them collected, it becomes cheap. You can combine the enormous bulk and transport them during the off-peak period. The strategy provides you two savings, one in the bulk price and the other in the low off-peak shipping costs. Making several shipments every day increases your expenses as you pay premium prices each time you ship. When you can find a group of companies that need the same services, it will lower your rates. Once again a freight broker will negotiate lower prices for the consolidated shipping thus helping you save money. If you thought packaging, product design, and cartons do not matter in pricing, you are wrong. Packaging accounts for 10% of the cost, transportation 60%, and warehousing 25%. If you can maximize the packaging and storage, you can reduce the cost of transportation considerably. Make sure that you use shipping material that is not heavier than the product. Find a light and efficient material for your packaging. Using the optimal amount of packaging capacity will help you fit in as much load as possible. Creativity with packaging can help lower the truck freight shipping cost you will pay to ship your goods. Time is a factor that the carriers put into consideration when calculating your shipping rates. Most times, they give you a window of two hours to load. Make sure you employ an effective workforce to do the loading faster. If you are fast, you will get a reduced rate contrary to when you take a lot of time. Make sure you remain consistent in keeping time for better services and prices.